Calico Critters Family Camper Just $39.99! Down From $80! PLUS FREE Shipping! 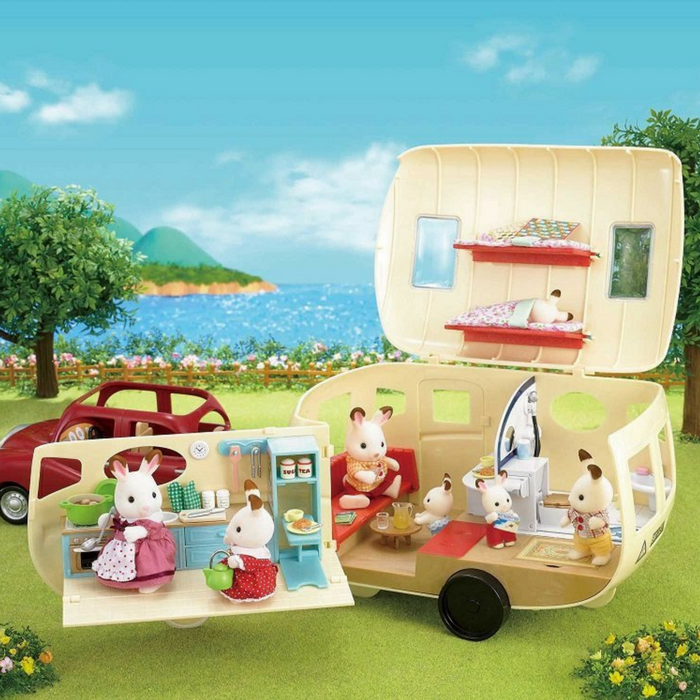 You are here: Home / Great Deals / Amazon Deals / Calico Critters Family Camper Just $39.99! Down From $80! PLUS FREE Shipping! Amazon is currently offering this Calico Critters Family Camper for just $39.99 down from $79.99 PLUS FREE shipping! Calico Family Camper-Calico Critter families can spend happy vacations together in their very own Caravan Camper. When they take off on the road, they’ll take the comforts of home with them: a well-stocked large kitchen, a spacious bathroom, plenty of storage and room for 4 to sleep. The Calico Critters can pull their camper to its destinations with the Cherry Cruiser car! Calico Critters is a unique and adorable range of distinctive animal characters with charming and beautifully detailed homes, furniture and accessories. They live, work and play in an idyllic and wonderful place called Calico Village. These timeless, classic toys promote wholesome family values. These life-like, award-winning miniatures also inspire imagination and creativity. These adorable toys promote healthy cognitive development through pretend play. Over 35 Accessories including round table, plates, cups, utensils, pots, pan, sleeping bags, maps, “board games”, iron, soap, towel and much more! Critters and other vehicles sold separately. Calico Critters and other vehicles sold separately.